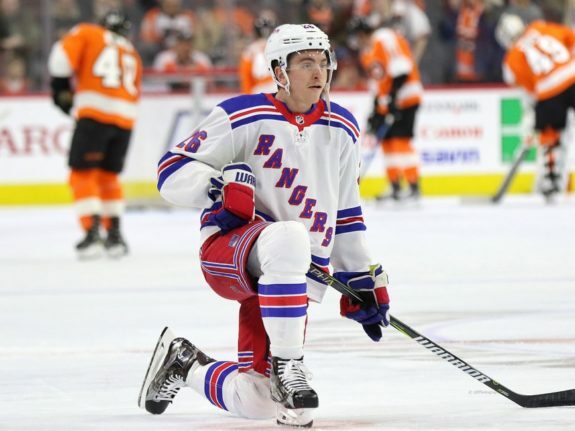 With cautious optimism for the future and tempered excitement over a now-finalized New York Rangers roster that will show the first signs of the front office’s youth movement, Jimmy Vesey has largely been forgotten during the preseason. Unfortunately for Vesey, it’s his own fault. Given the promise showed by young centers Filip Chytil and Brett Howden, encouraging play by defensemen Neal Pionk and Tony DeAngelo and a strong training camp from winger Vinni Lettieri that resulted in an improbable roster spot, Vesey’s continuing struggles have been mostly overlooked. Eventually, though, the third-year forward’s problems will force the issue. That is if the still-highly regarded Vesey isn’t able to make all of that academic. Vesey has done little during the preseason to show the coaching staff that he’s moved beyond his forgettable 2017-18 campaign, continuing a rough September with another poor performance in Wednesday’s 4-3 overtime loss to the New York Islanders. Vesey played only 13:14 and received just two shifts over the final 11:12 of the third and OT, though he delivered an excellent pass to set up a Howden goal in the Blueshirts’ preseason finale against the Philadelphia Flyers on Thursday. Training camp wasn’t much different for the former Harvard winger from last season when his defensive breakdowns, turnovers and long stretches of ineffectiveness led to multiple benchings and plenty of hair-pulling from former coach Alain Vigneault. Maybe it’s Quinn’s turn to accelerate the thinning process up top. Vesey’s issues date to his first season in 2016-17 when the Rangers believed they had scored a coup that offseason by winning the sweepstakes for the college star, who chose not to sign with the Nashville Predators after being drafted in the 3rd round, 66th overall, in 2012. 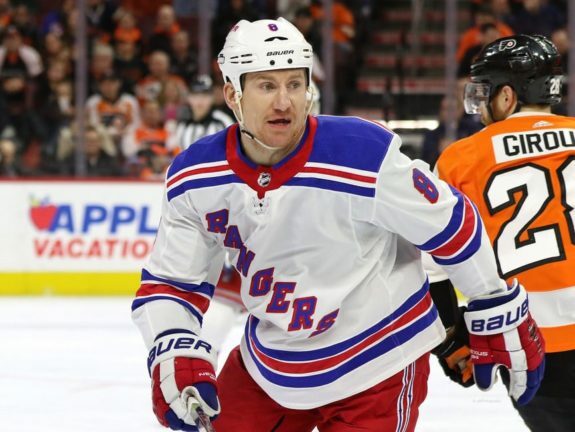 The Rangers’ front office hoped it had picked up a player in the mold of former Boston College player Kevin Hayes, who’s developed into a strong two-way center since joining the Rangers in 2014, after also refusing to sign with his draft team (Chicago Blackhawks in 2010). Vesey had 16 goals and 11 assists in that first season and periodically showed why the Rangers – and plenty of other teams – wanted him, going to the net and the dirty areas to score goals and exhibiting an edge to his game. There was plenty of uneven play, sure, but that could be chalked up to a rookie learning what it took to succeed at the highest level of hockey. A year later, Vesey’s lack of consistency and breakdowns were cause for concern. A case can be made that it was too early to expect the 6-foot-3, 207-pound forward to be a finished product after just two seasons and that his defensive lapses and inability to have a consistent impact in 2017-18 were still a part of the learning process. However, the fact that his struggles have carried into this preseason is worrisome. 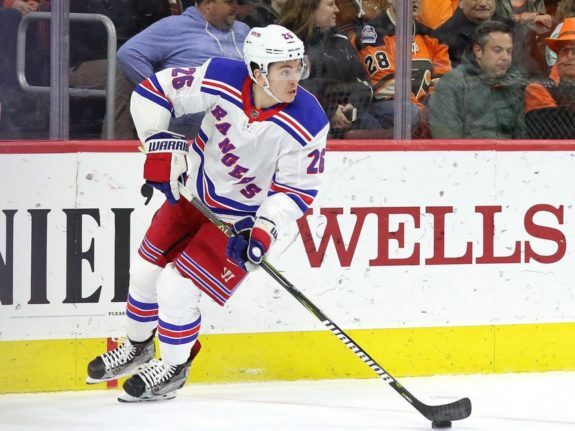 Quinn’s team will play an up-tempo, physical north-south game, as he’s said over and over since taking the Rangers job, “Fast, physical and relentless.” That’s exactly the way Vesey needs to play to succeed in the NHL. The coach, however, is also known for demanding accountability in the defensive zone. That means that the turnovers in Vesey’s end and the high-risk, high-reward offensive plays he sometimes attempts, need to vanish. If they don’t, Vesey risks being passed by. While he’s made the opening-night lineup, Quinn has options to fill his minutes. Lettieri forced his way onto the roster with an impressive camp and his edgy, straight-ahead game is, like Vesey’s, tailor-made for Quinn’s system. Preventing Lettieri from usurping Vesey’s role won’t be easy. Vesey is theoretically the player with the higher ceiling. The 5-11, 195-pound Lettieri, though, went undrafted out of the University of Minnesota. He’s not about to take any NHL opportunity for granted and probably won’t be outworked. In addition, Quinn expects teammates to stick up for each other physically and as a result, likes having tough players in the lineup. Veteran enforcer Cody McLeod proved up to the task during the preseason, decisively winning two fights, and Quinn might decide that McLeod’s presence on the ice is of more value than Vesey’s, that is, if Vesey continues to have problems and Lettieri’s performance renders his fellow young forward redundant. The Rangers aren’t about to give up on Vesey, still viewing him as a core player of the future. The train is rolling forward, though, and he needs to raise his level to be on it, and soon.